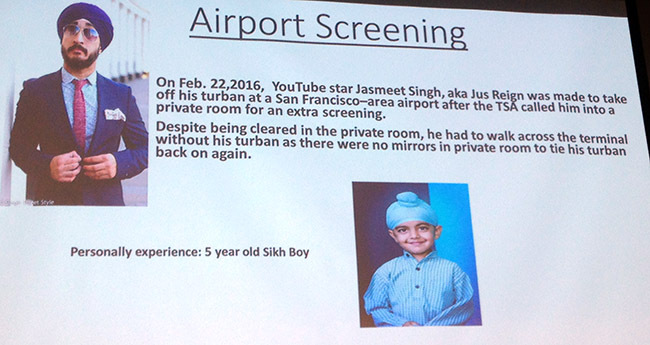 Atlanta, GA: Sikh Community of Greater Atlanta area organized a Roundtable conference on challenges faced by minorities/others and avenues available to mitigate those challenges, by exercising our Civil Rights and Liberties, granted by US constitution. Officers from US Department of Homeland Security, Local and Federal Law Enforcement agencies, Officials from US Department of Justice, and Equal Employment Opportunity Commission participated in this conference. Each official shared various initiatives of the US government to be availed by the citizens to alleviate discrimination and injustice. Nadia Batcha, Senior Policy Advisor, DoJ welcomed the participants and moderated the conference. Nadia has been playing a pivotal role in connecting with the communities inAtlantaarea and spreading the efforts of CRCL, DHS, to secure the nation while preserving individual liberty, fairness, and equality under the law by shaping the Department’s activities that protect civil rights and liberties. 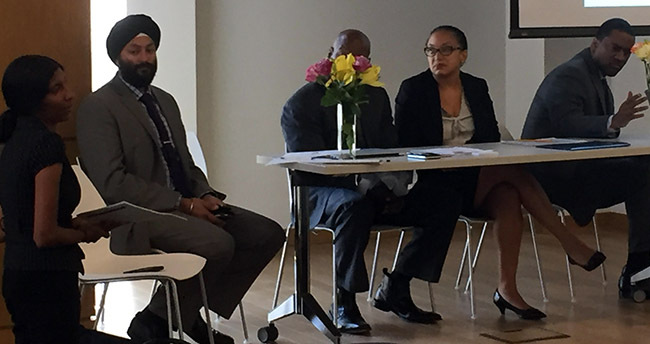 Jasjit Singh, Senior Policy Advisor, US Deptt of Justice, shared the role of Community Relations Services of DoJ, with the objective to connect communities with State and Local government and Law Enforcement, and in preventing violence and hate crimes. He shared he areas where bias is happening, impacts on affected communities and resources available for community members to report and mitigate such incidences. Aileen Bell Hughes, Assistant US Attorney, DoJ, shared the initiatives taken by the department after a serious offence of beating/bullying to a Sikh kid was brought to their notice. DoJ worked with the DeKalb School board to introduce education and training in schools. Darrell Graham, Dy Director, US Equal Employment Opportunity Commission shared the laws and procedures to report employment discrimination.